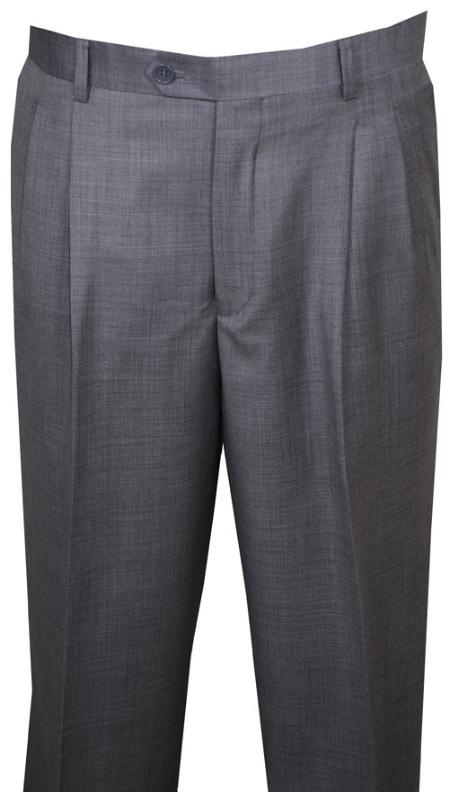 The fit of big men's pants is very crucial while you buy one. There are men who simply wear outfits that they don't fit in properly. Anything too tight, calls for attention and right fabric is the key to conceal the areas of attention. Tight fit clothes focus the heaviness and also cause discomfort. It is very important while buying big men's clothing to make sure that the thigh have enough cloth on them, if the fabric is pulled tight that means there isn't any room in the thighs which can be the cause of discomfort and shame in front of your colleagues or friends and family. Too loose clothes can also be the cause of concern and create an illusion of a larger figure. The pattern of the apparel can be very tricky for the big built men. The area specific print pattern can enhance a modern and fashionable look for the huge built men. The colors also play a vital role in selecting the big men's pants. The bold and deeper shades are the slimming tones and the big men can choose the colors intelligently to match the latest fashion trends to look happening. At Mensusa, you get the freedom to choose from a great collection. From big men's pants to suits, the best brands, quality fabric, latest fashionable plus size apparels at cost effective prices are available for the solution to all your worries.